UK Street food – or culinary specialities sold from mobile carts, vans, trucks, or street stalls. This is part and parcel of a burgeoning worldwide obsession with fine food. The United Kingdom boasts better than 7000 of these portable mini restaurants, becoming so enamoured of the concept that the fare now even has its own trophy – the British Street Food Awards. For experienced culinary artists or even new chefs, opening a street food business in the UK may be just the ticket. There are distinct advantages to this business model over becoming an executive chef or opening a catering service. It offers flexibility in work location and hours. There will be lower start-up costs, and it’s not as high-risk as opening a traditional restaurant. In addition, you don’t necessarily need a tremendous amount of conventional chef experience in order to be successful. This is because the menu and environment are highly laser-focused. On the other hand, you should also be prepared to handle the challenges of opening a UK street food or food truck business in the UK. There are multiple laws and regulations to which you must adhere, the work hours can be long, with early mornings and late nights. Also, you may encounter unpredictable events such as bad weather or a breakdown. You should also consider whether you work well with people. Street vendors should be friendly, outgoing personalities who enjoy providing quality customer service. Red tape is always a part of opening any food service business in the UK. You will need to register with HM Revenue and Customs, as well as with your local Environmental Health authority. If you’re going to be operating your street food unit on public streets, you will need a trading license. 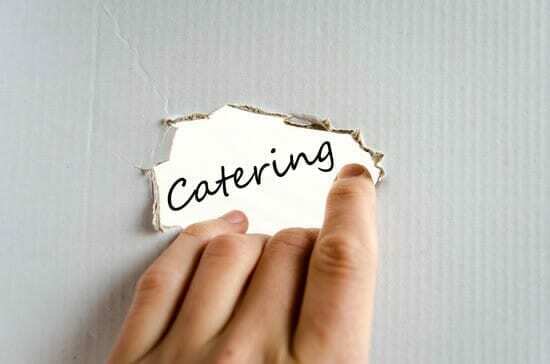 If you only plan to cater organised events, you won’t need this license. You will also want business insurance, such as Public Liability Insurance in case anyone is injured in relation to your unit. You’ll be required to have Employers Liability Insurance if you hire any staff. Food safety is of the upmost concern when operating a street food business in the UK. And you will need a Food Hygiene Certificate issued by your local Environmental Health authority. It’s a good idea to take a course in food hygiene issues such as storage and cooking temperatures and cleaning procedures in order to ensure that you’re complying with all food safety requirements. Branding is certainly a major buzzword in today’s competitive economy. Therefore the need for a strong, recognisable brand when starting up a street food business in the UK is no different from any other. Choose a distinctive colour combination and make sure your logo is consistent across the board. This will include all from your cart or truck all the way to your website and business cards. Fortunately, modern technology makes marketing easier than ever. Be sure to utilise social media outlets, set up a business website. Have flyers printed for family and friends to hand out? Show up with your mobile food unit at festivals and other public events in order to get your brand out there and put your business at the forefront of customers’ minds when they think of fun and food. There’s never been a better time to get in on the UK street food craze. And going mobile is one of the most flexible and interesting ways to do so. Just be sure that even if you find success as a chef in this arena, you keep your restaurant skills honed and ready in case the fad passes.